Joe started his career at Worthing, and signed for Crawley Town in 2005, breaking into their Conference side at the age of seventeen. In 2006, he signed for Eastbourne Borough, then rejoining Worthing in 2007, before a move to Lewes in the summer of 2008. During his time with the Rooks, he impressed as a goalscoring midfielder, bagging an impressive nineteen goals from central midfield in his second season at the Dripping Pan. He was signed by manager Justin Edinburgh on 9 June 2010, but he struggled with fitness having been part-time previously in his career, and failed to break into the first team. He made his first team debut in the Hillier Senior Cup game against Daventry United on 12 October 2010 and went on to make his league debut on 13 November 2010 in the 1-1 draw at Fleetwood Town. In mid-December 2010, he went on loan to Conference South side Woking for one month. He then had a period on loan with Havant & Waterlooville during late January 2011, returning to the club at the start of March 2011. He only made a total of 8 appearances for the club before being released in May 2011. On 15 July 2011, he joined Isthmian Division One South side Whitehawk. After two successive promotions with the Hawks, Joe dropped back down to join Isthmian Division One South side Burgess Hill Town on 13 September 2013. 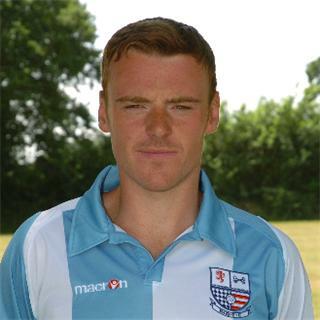 He left there in May 2016 to join Shoreham FC, but after a season there he joined Horsham FC.